Established & emerging leaders: Transform challenging changes, conflicts, and uncertainties into positive forces that boost your influence and impact. Your emotional skills help you make better decisions, increase resilience, and achieve optimal results. So how well do you recognize & respond to the emotional signals in yourself and others? 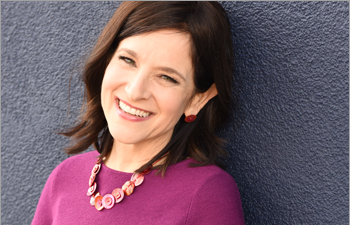 With a powerful blend of strategic business sense and emotional savvy, Dr. Susan Bernstein empowers existing and emerging leaders with the confidence and flexibility to handle any situation that arises at work. 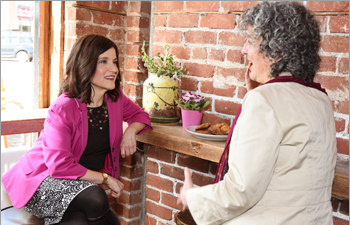 Drawing upon compassionate insights and extensive coaching experience, Susan will help you and your teams to increase self-awareness and leverage emotional intelligence to enhance professonal growth and attain business success. Understand the unconscious roles people play and how to transform tense situations into collaborative endeavors. Identify your obstacles and learn how to speak up for yourself clearly and powerfully in a way that gets results. When clients & customers display challenging emotions, respond in mutually-supportive ways that strengthen business relationships. 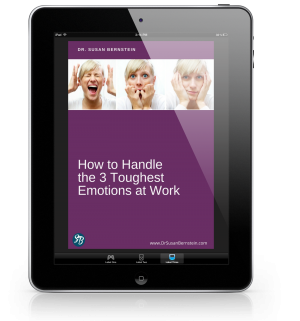 Experience the positive power of your emotions at work and turn emotional stigmas into holistic strengths. 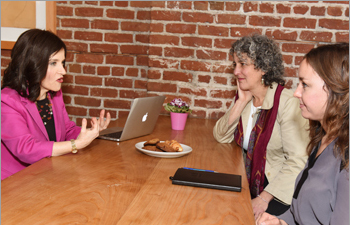 Need leadership coaching to support you -- or someone on your team? Handle anger, sadness, and fear more effectively -- in both yourself and others. Get your free digital guide now. "The revelations Susan helped me uncover have been completely life changing. In her most gentle way, she helped me realize I have been a victim, and that I did not need to be. I now feel I can approach my work in a more empowered, level-headed way. This has totally boosted my confidence. I’m very excited about the opportunities that have started to appear because of this self assurance I now possess."